The Shale Gas News, heard every Saturday at 10 AM on 94.3 FM talked about a second Midvalley power plant, severance tax, natural gas prices and much more last week. Second power plant proposed for Midvalley. Archbald Energy Partners LLC —has begun the lengthy process of submitting planning documents for review to construct a 485-megawatt natural-gas-fired power plant about 1½ miles from a much larger plant in the works for Jessup, planned by a different company. 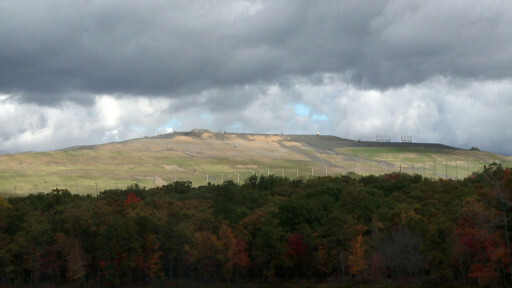 DEP grants Keystone Sanitary Landfill extension to provide info. Keystone submitted its expansion plan to DEP on increasing the landfill’s permitted disposal area from 335 acres to 435 acres and pile waste up to 165 feet higher than currently allowed. Dem Media Spins New PA Severance Tax Proposal as “Conservative”. At least one Republican, Pennsylvania State Rep. Jim Christiana has proposed a tax with a rate of “just” 3%, instead of Wolf’s demand of 5%. Amid pressure, Penn State adds climate change to strategic plan. Penn State University is addressing the threat of climate change in an update of its five-year strategic plan, following pressure from students, faculty, and staff. EIA’s STEO Predicts NatGas Price Constant This Year, Up Next Year. EIA says natural gas’ share of the electric generation pie will fall–with natgas generating 33% of all electricity in 2015 to 31% in 2017. Why? More renewable sources coming online. Natural Gas and Electricity in U.S. Joined at the Hip. In 2015 more electricity was generated from natural gas-fired generators than from coal-fired generators in the months of April, July, August, September, and October. Marcellus Ethane Sets Sail for Europe Next Month. In February, the first shipment of Marcellus ethane will set sail from Philadelphia bound for Norway.